A housing scheme which forms a key part of Rhyl’s regeneration initiative has been shortlisted for three Awards at the National UK Inside Housing Development Awards which are due to be announced later this month. The Gronant Street and Abbey Street scheme developed by Clwyd Alyn Housing Association next to the new Gerddi Heulwen greenspace, is a key signature housing element of the transformational urban regeneration partnership project in partnership with Denbighshire County Council and the Welsh Government. The homes are a mixture of affordable homes for local people to rent or for home ownership under the Welsh Government Homebuy loan scheme. The £3.6 million development is one of a number of different housing options created around the Gerddi Heulwen greenspace and it has been shortlisted as: ‘Best Residential Development’ (Under 70 homes); ‘Best Affordable Housing Development’ (Under 25 homes) and ‘Best Regeneration Project’ (Under 70 homes) in the prestigious annual UK Inside Housing Development Awards to be announced on November 29. 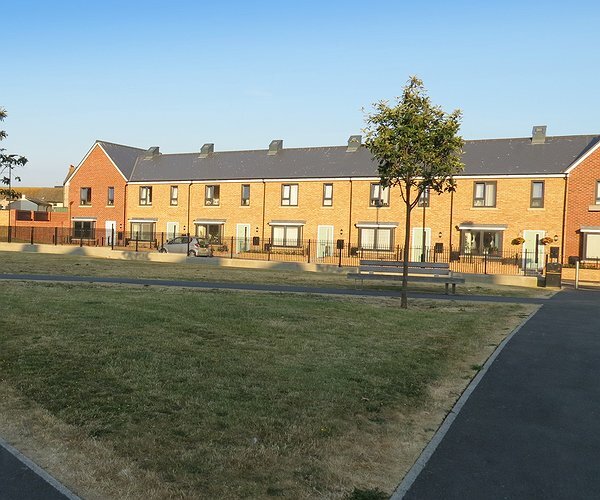 “We are absolutely delighted to be short-listed in three separate categories of a national UK Awards ceremony for the Gronant Street and Abbey Street Development in Rhyl, it is an excellent example of great partnership working that creates quality affordable housing options as an integral part of the wider regeneration work in Rhyl. Cllr Tony Thomas, the Council’s lead member for Housing, Regulation and the Environment, said: “I would like to congratulate everyone involved in this project for being short-listed in three categories. "New extra care housing scheme nears completion"
"New affordable homes planned for rural Denbighshire"